Thank you for getting me all those books when I was a kid even if you’re not too fond of reading, and I know sometimes you think I read too much. :D Thank you for reading all the things I wrote despite that fact. 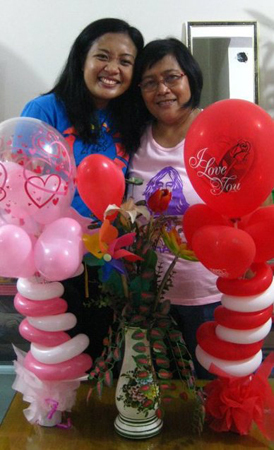 :) I love you! It’s been a long time since I last did an In My Mailbox post. 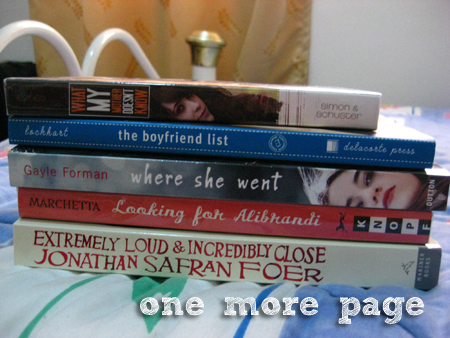 Other than laziness and trying to resist buying books, I went on a book-buying fast during the Lenten season. 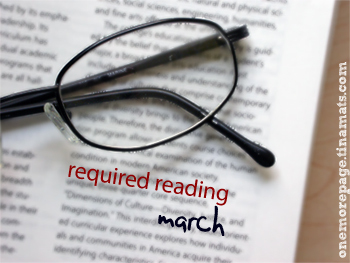 I could not buy books for myself, but I can buy them as gifts, or receive them as gifts since my birthday falls within Lent. It’s all good, and I ended up using the usual book money for other equally important things, like clothes. 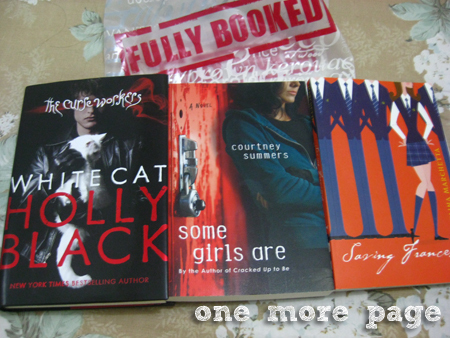 But as soon as Easter morning came, I went to Book Depository and ordered books. :) It felt nice, to celebrate victory in that way. The books aren’t here yet, though, so that will be for another posts. The books I bought in recent bookstore trips are a different matter. And so after a long hiatus, here’s my 14th In My Mailbox. In My Mailbox is a weekly book meme hosted by Kristi from The Story Siren, where bloggers post about what books received that week, be it via mailbox, library or store. It’s been a while since I did an In My Mailbox post, and it’s not because I went on a book buying ban, but because I was just too lazy to make a post about the stuff I got. I thought I’d be able to make it long into a the new year without buying new books, but alas. Who am I kidding? In My Mailbox is a weekly book meme hosted by Kristi from The Story Siren, where bloggers post about what books received that week, be it via mailbox, library or store. Noli Me Tangere by Jose Rizal, translated by Soledad Lacson-Locsin. 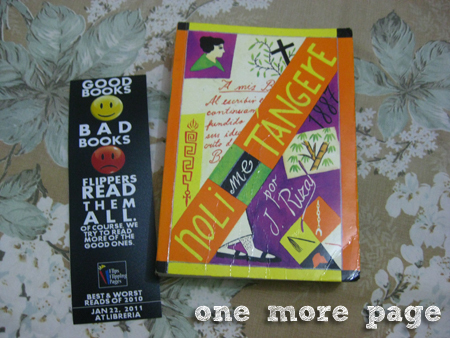 At yesterday’s Filipino Book Bloggers/Flips Flipping Pages meet up, someone had this translation of Noli Me Tangere up for book swap. I have been wanting to get my hands on a translated copy of this novel for a long time now, but I wasn’t sure which was the best translation. This one was what Blooey and the Flippers read last year, and is said to be a really good translation. I got it and no one stole it from me, so…yay. Finally! Now a little backgrounder: Noli Me Tangere is written by the Philippines’ National Hero, Dr. Jose Rizal. This is a required reading in high school, but I never really read the novel in its entirety because our copy in high school was the summarized version (no, it’s not abridged, if you’re thinking that’s the term — it was actual chapter summaries that we had to summarize for another report. Hmph). I figure in my life as a reader, I must read this novel at least once in my life. So yay. Till We Have Faces by C.S. 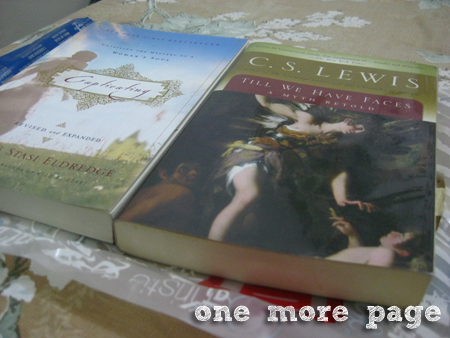 Lewis – this is lent to me by RE, too, and this is the best C.S. Lewis work according to him. This is only a lending copy though. Heh. I have a feeling I’ll like this one, too, and I’ve reserved it for February reading already. Now to find a copy of this one. Hmm. 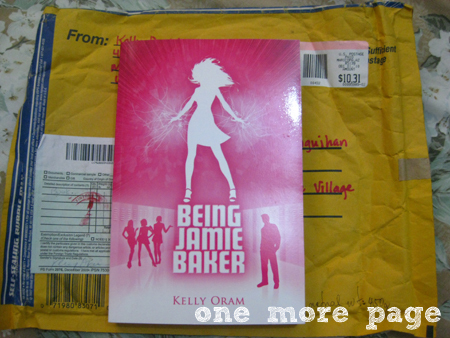 Being Jamie Baker by Kelly Oram. 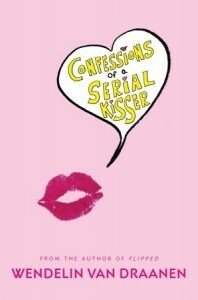 I’ve seen this book from Kai‘s blog, and I added it on my wish list for the sheer pink-ness of it. :P I followed the author on Twitter, then on Facebook for her contest and even exchanged tweets with her during NaNoWriMo. I never expected to win because I’m not really lucky with winning, but lo and behold: I was her second winner! :) Thanks, Kelly! Five Flavors of Dumb by Antony John – loved this! Flipped by Wendelin Van Draanen – my physical copy is with some friend, so I splurged on an ebook. There is probably more, but I forgot about them. I know I said I won’t be stressing over my TBR, but I really think I should get to reading the other books that are starting to pile up in the apartment, the ones I acquired before 2010 ended. I really should work on that. I should.